After the long ride of the Karnival of Trash there is a certain homecoming feel to resuming the MinXus Mail Bag feature. Familiarity sometimes comes as a comfort. The end of a long journey leaves us to reflect: What has been gained and lost? But the point – before I digress hopelessly – is the resumption with this lovely card from a newcomer to our humble blog: Karalie Vest of Oregon. Are these stamps? And we have some Holism play. 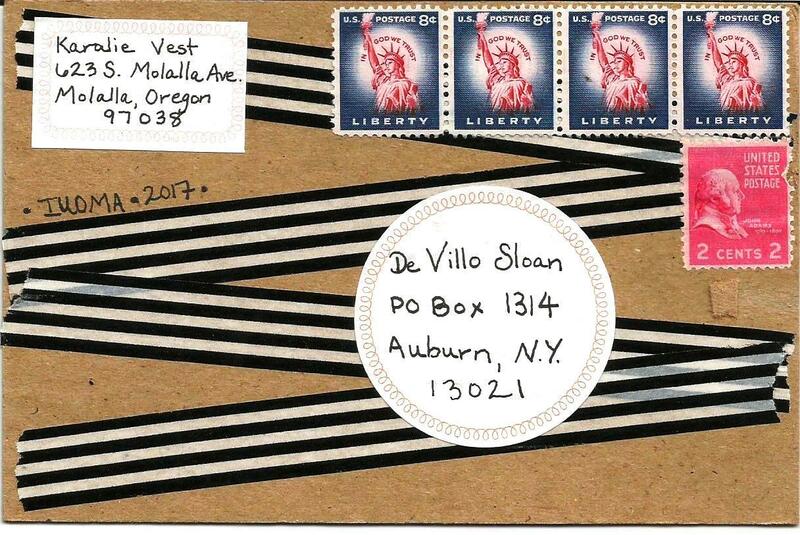 From a larger perspective, origami appears in mail art often; and it is an excellent match. Like mail art, origami is egalitarian yet can rise to a complex artform. There is a suggestion of minimalism, a joy in simplicity. 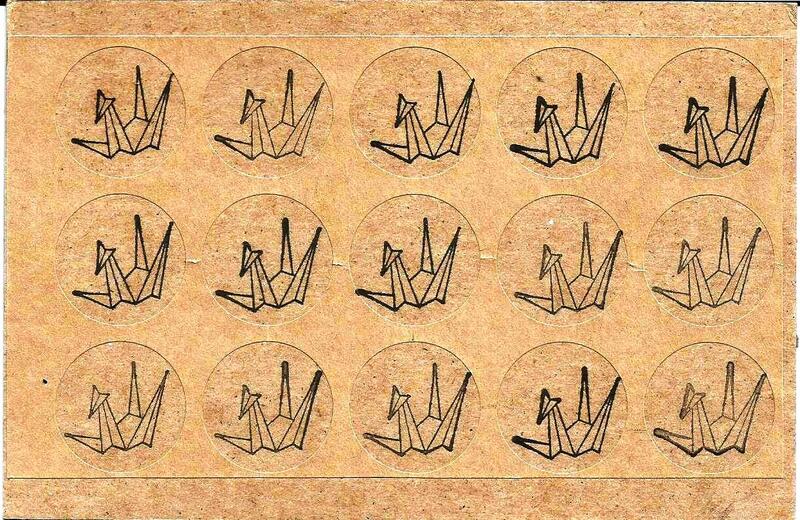 Karalie Vest manages to integrate origami and mail art perfectly, I think. Deepest thanks to Karalie Vest!